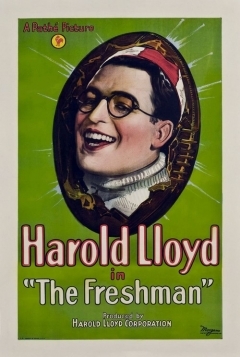 Harold Lamb is so excited about going to college that he has been working to earn spending money, practicing college yells, and learning a special way of introducing himself that he saw in a movie. When he arrives at Tate University, he soon becomes the target of practical jokes and ridicule. With the help of his one real friend Peggy, he resolves to make every possible effort to become popular.